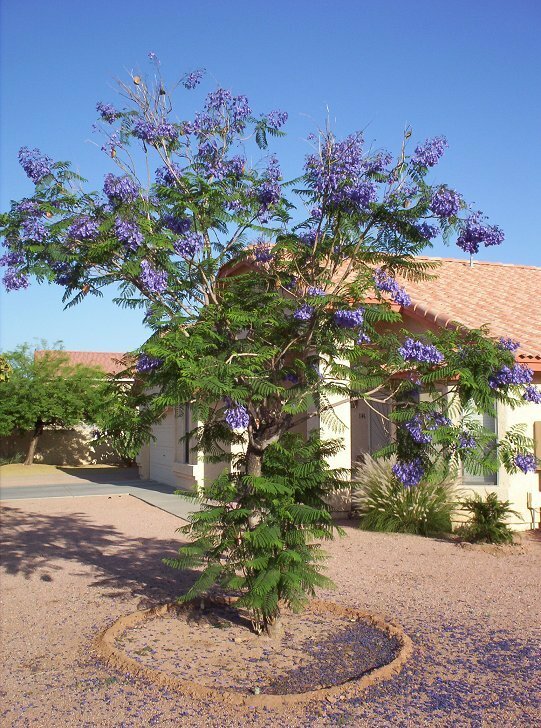 Jacaranda trees are very popular throughout the Phoenix area. They can often be seen growing in golf courses and do very well when planted in the lawn. Jacarandas have fern like leaves which they will drop in the middle of winter. 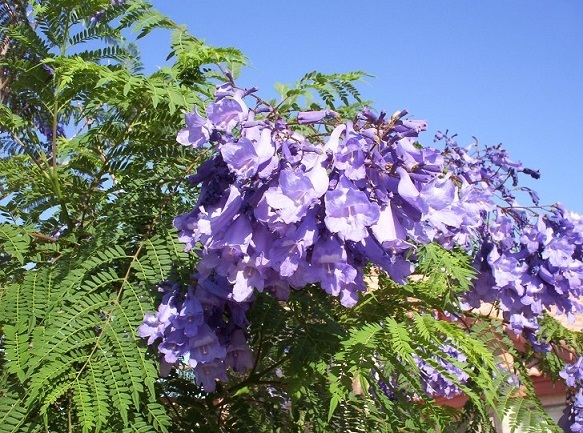 A jacaranda tree will eventually become very large and can be up to 40 feet tall so it should be planted where it has room to grow. Jacarandas make very attractive landscape specimens because they have an open canopy and tend to create a good shade tree form. They are spectacular when in flower but unfortunately in the Phoenix area jacarada trees only flower for a couple of weeks in May.